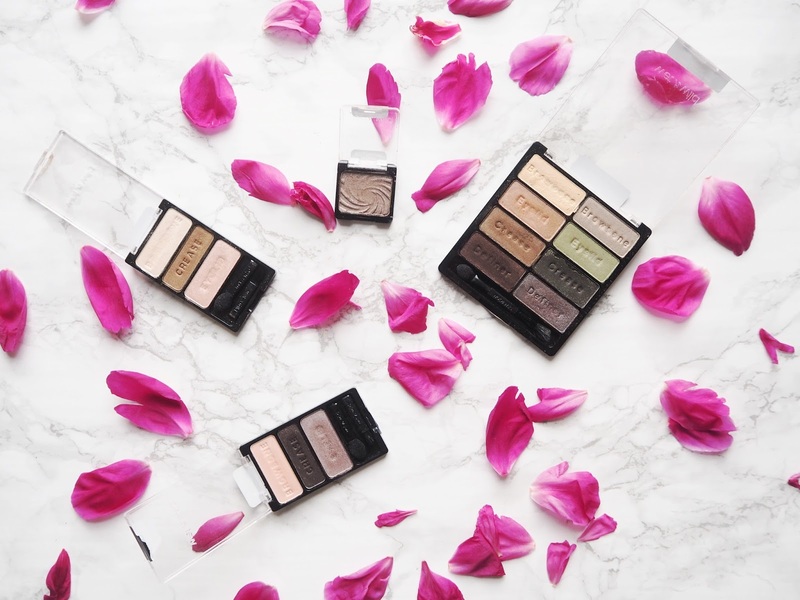 If you're anything like me and you spend a large proportion of your free time reading beauty blogs and watching beauty gurus on YouTube, chances are you've heard a bit about Wet 'n Wild eyeshadows. I spent years wanting to get my hands on some of the picks that were constantly shouted about on the internet, if only to answer the question: are they really worth all the fuss? Fortunately, this last year Wet 'n Wild launched in Switzerland and I was chuffed as chips and went on a little spree. I've since tried a lot of their various eyeshadow offerings, so I thought I'd show you four bits that are definitely worth the hype! Comfort Zone Palette | full review - This was, I believe, the first eyeshadow product I picked up from Wet 'n Wild and it's still my favourite. Just look at it, it's a thing of beauty! Yes, there are a few shades in there that I likely won't ever really be using (green isn't really my colour), but aside from that, there are so many lovely shades to choose from! Aside from the impressive pigmentation, the buttery texture and the great blendability of the shadows, you can also create pretty much any eye look with this palette. Be it an everyday neutral eye or something more smoky for the evening, this palette's got it all! Also the duo-chrome definer shade on the right is a one-wash wonder and all kinds of gorgeous. Walking on Eggshells Trio | full review - If you're someone who doesn't really have the time to fuss over eyeshadow in the mornings or if you just prefer simplicity in terms of your eye looks, then this is the palette for you! These three shades work really well together to create a gorgeous everyday neutral eye. The shadow quality is amazing and really easy to work with, which makes creating a simple eye look that much easier! Silent Treatment Trio - I actually received this as a gift from my sister but it had been recommended to me by a fair few people on the internet. I probably wouldn't have bought this for myself because of the very dark crease shade. I have blonde hair and pale skin so dark eyeshadow can really wash me out, hence why I tend to steer clear. Whilst I still don't use the darkest shade in this trio, that lid shade is an absolute beaut'. It's a gorgeous dusky rose taupe shade that looks great as a wash of colour on the lid, by itself or with something darker popped in the crease. The browbone highlight is also a lovely colour, albeit slightly pink as a highlight so I prefer to use it on the lid to create a softer eye. Nutty Single - This is one of those eyeshadows that you overlook on the counter because it just seems very 'meh' in the pan. It looks like your average taupe shade, pretty but also fairly interchangeable. I don't know how exactly this works, but once you swatch this shade, it transforms from a dusty brownish shade into a gorgeous rosy bronze taupe. This looks seriously stunning on the lids and you don't even need to faff about with a crease shade or anything else. A wash of this shadow, a few lashings of mascara and you're good to go! For under a pound you really can't complain! So there you have it, four products to have a gander at if you fancy trying a few eyeshadow bits from Wet 'n Wild. I'm always super impressed when drugstore brands supply excellent quality products for more than reasonable prices. It just goes to show that you don't have to break the bank to get some fab makeup! What are some of your favourites from Wet 'n Wild? Anything I need to try? Let me know below! i really want to try some of the wet n wild products, but they so hard to get in the UK! I wish i had picked up some of their products while i was in the states! i want the walking on eggshells trio so badly! I love love love "Nutty"! One of my aboslute favourite crease and over-all colours.